"Really great looking car. We added Tungsten weights in the convenient pre drilled holes which made it much easier." The Camaro pre-cut car block comes shaped with 2 pre-drilled 3/8" weight holes in the back for tungsten or round weight cylinders. The Camaro, modeled after the Chevy Camaro muscle car is another flashy power car. The Chevy Camaro was typically equipped with a 327 cu in V8 power train, which was more than enough for this 2 door coupe. 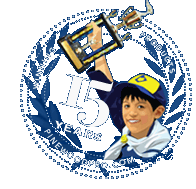 We use the standard BSA pinewood derby car block that comes in every pinewood derby kit. The dimensions are 7" (L) x 1 3/4" (W) x 1 1/4" (H). The Camaro car block weighs 2.2oz +/- .2oz, so you will need 2.3 to 2.5oz of extra weight to bring your car up to the recommended 5oz limit. This is a car block only and does not come with wheels, axles or weights, which are sold separately. I like this design but the drilling for the back wheels was slightly off, which made one of the wheels difficult to install. Easy design to work with - requires some sanding but the body structure is great for a first time racer. We ended up in 3rd place!